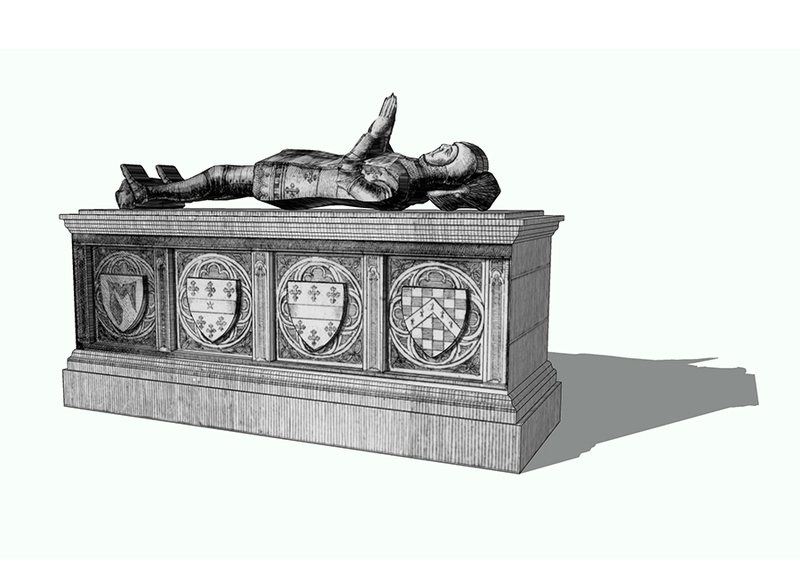 Our Illustration Team has created SketchUp 3D models of a number of the cathedral’s lost interior features – the choir stalls and screen, pulpit, altar, and seventeen medieval and Tudor monuments – which will be incorporated into a complete model of the cathedral. The models are based upon engravings taken by Bohemian etcher Wenceslaus Hollar in 1657 - less than a decade before the Great Fire of London razed the cathedral to the ground. They will sit within a complete rendering of the cathedral and surrounding streets developed by NCSU in collaboration with St Paul’s Cathedral Archaeologist John Schofield. 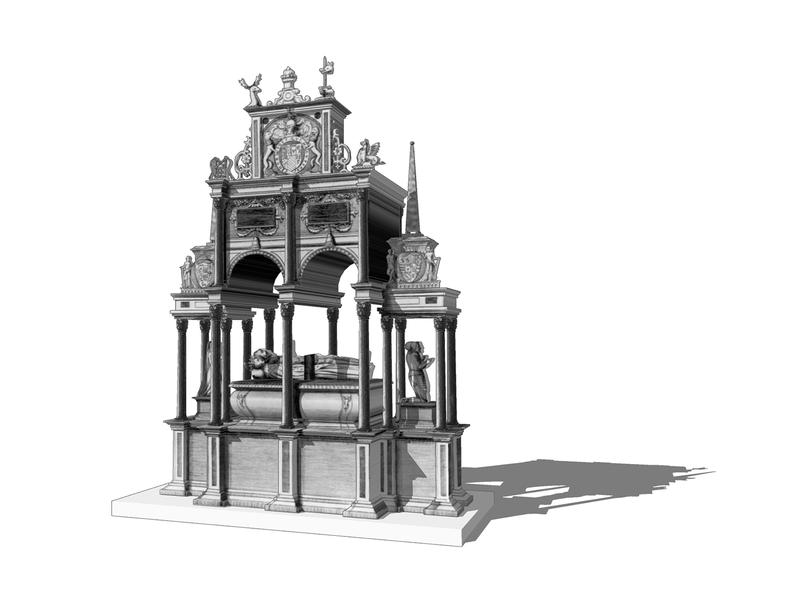 The award-winning first phase of the Virtual St Paul’s Cathedral Project reconstructed a 1620s sermon given by John Donne at St Paul’s Cross - the open-air pulpit and preaching cross which once stood in the Cross Yard to the cathedral’s northeast. The resulting models allow visitors to watch and listen to the sermon from a range of locations around the yard. 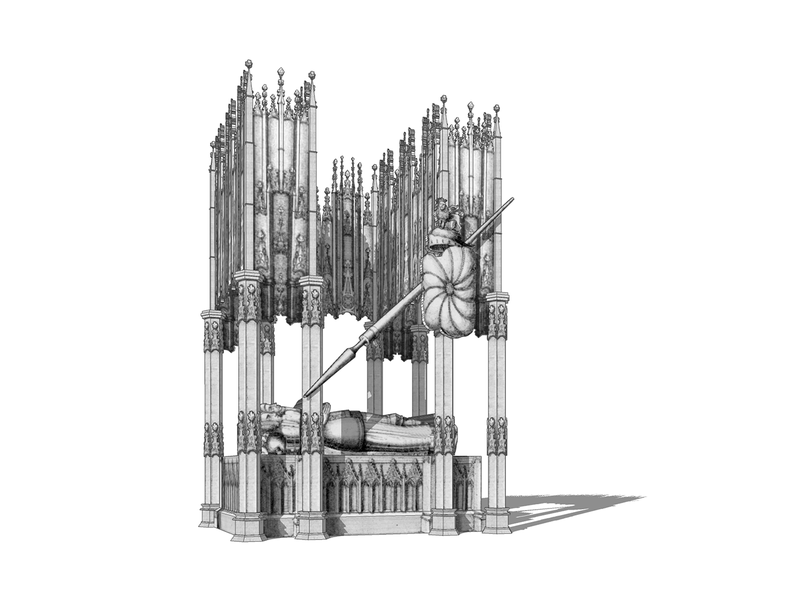 Ultimately, the complete visual model of the cathedral's interior and exterior - incorporating the elements created by our illustration team - will be combined with a realistic soundscape created by acoustic engineers using CATT acoustic modelling software, to allow visitors to experience how it may have felt to worship at St Paul's in 1624. The action will focus on Easter Day 1624, and will include a choral service and sermon known to have been given by Bishop Lancelot Andrewes in the morning and a sermon that John Donne preached in the choir that afternoon. To find out more about the project and experience the first phase models, visit the Virtual St Paul’s Cathedral Project website.